When I decided to make a meal with Saffron rice with Channa Masala, Methi Puris, I didn’t realised that I was making using of Saffron so much. 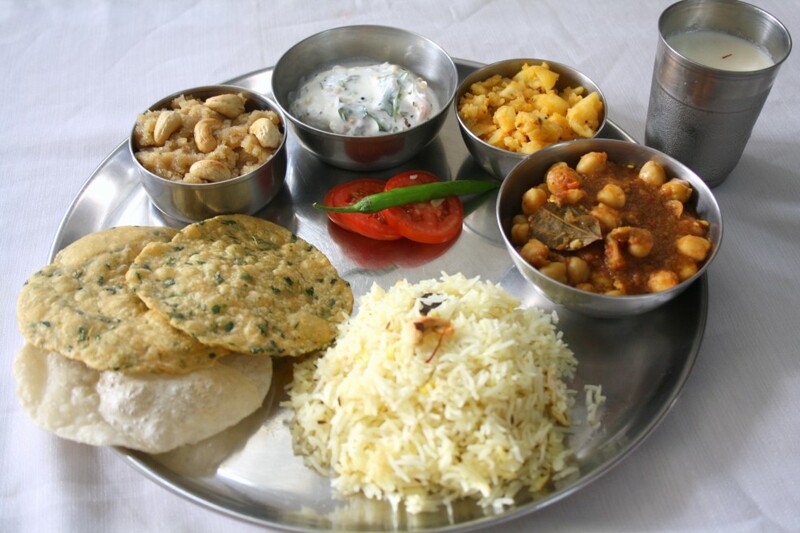 I got fancied with this breakfast thali, and decided that I would love to make the almond drink as well. So I ended up soaking Almonds and saffron as well. Though I have made Almond Drink many times, I never really clicked pictures, knowing it’s such a regular drink. Somehow I wanted to do it now and it was happy that I did. Maybe the amount of saffron that I used to add before was less. Somehow it had it’s effect and it was very refreshing when it was chilled. When I think of Badam, I am always reminded of our Badam tree we had when I was 7 or 8 years old. It was a huge tree and attracted lot of attention during the summer vacation. As a remembrance to that, I brought back couple of those fruits, hoping I will open them. Those two are still lying where I left them! I am done with my second week of BM today with three posts of Cooking with Flowers. Microwave the almonds in 1/2 cup water, once cooled, peel the skin. 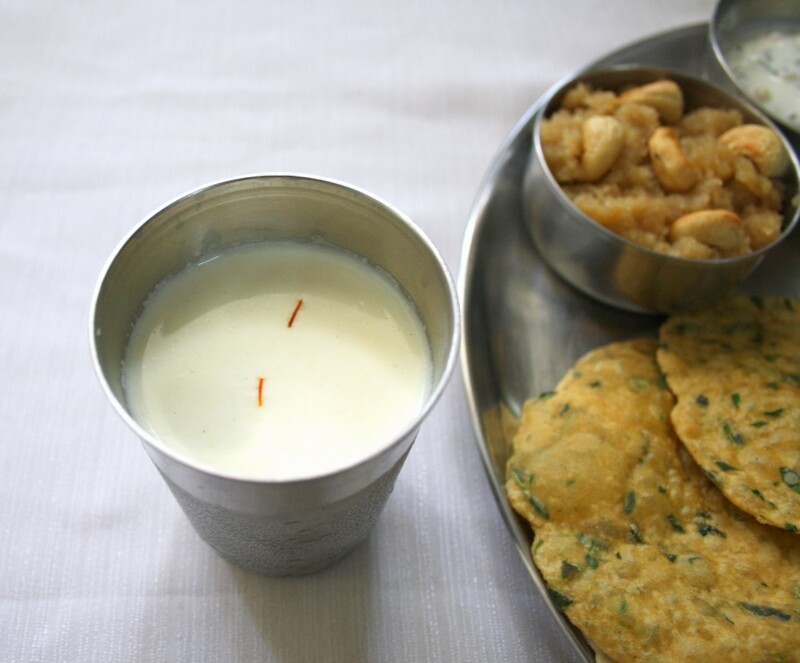 Soak the saffron strands in warm milk. Mix well to extract the essence. Make a paste of the almond with 1/2 cup milk to a smooth consistency. Delicious and my favorite dring. Drooloing here. Love it chilled!!!! Looks yum!!!! Kuttu loves it with little more nuts!!!! I don't remember seeing a badam tree but couple of years ago I saw fresh badam in a local store. I was amused to see them.. 🙂 Nice drink! Chilled badam milk on a hot day is so welcome. wow such a nice plate full of awesome food paired with this yummy drink! very creamy n delicious drink…love the chilled one more!! Looks so delicious!!! !Love he flavour!!! Would love it both hot and cold.